Your home’s foundation is a vital component of its structure. Although you never see your foundation, issues that affect this part of your home can have far-reaching consequences, including interior and exterior damage, basement flooding, and mold or pest problems. 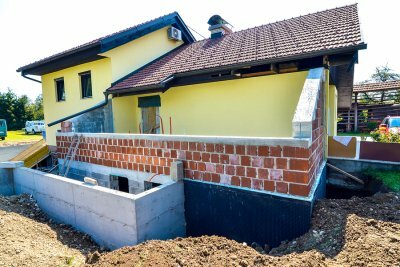 As soon as you suspect your home may be suffering from foundation problems, it’s essential to contact a professional contractor to schedule an inspection and foundation repair in San Antonio. When your foundation develops problems, it often causes issues throughout your home. One of the most common issues associated with foundation problems is sticky or poorly-fitting doors and windows. When windows and doors do not open or close properly, they not only affect your comfort and convenience, they could also pose a potential safety risk if you cannot secure your home against intruders. Foundation problems cause settling that can lead to one area of your home sitting lower than another. This may cause your floors to slant, which may cause vertigo and raise your risk for tripping or falling. Because falls can be associated with serious injuries, this could pose a significant health risk to your family over time. As your home settles, this process can also cause cracking and crumbling of walls, ceilings, and floors. This process will not only affect the look of your home, but could decrease the home’s structural stability, leading to the potential for further damage, including the collapse of walls or ceilings under extreme circumstances. Basement flooding is another common consequence of foundation damage. Because foundation damage is often associated with poor drainage, the accumulation of water that damages your foundation can also lead to water damage in your basement, which is associated with costly losses and repairs. Foundation repair focuses on not only addressing the existing damage to your foundation, but also on providing waterproofing and drainage correction to eliminate the risk of further issues in the future. Your contractor will evaluate the situation affecting your foundation to suggest the best course for long-term foundation repair.